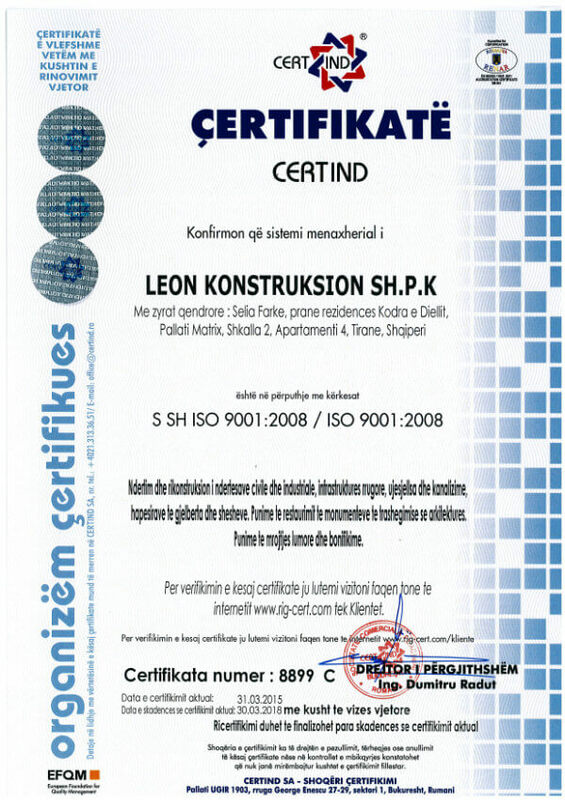 Leon Konstruksion was founded as a construction company with residence in Tirana. The company, from the needs of the market for development, it took off and extended its activity all over Albania.Company main objective is to work with quality, timeliness and a minimum duration of record time. Our company is licensed as a construction company by the Ministry of Transport and Public Works as well as by the Ministry of Culture as a licensed company in the restoration of Monuments of Culture. To restore the past, to build the future! 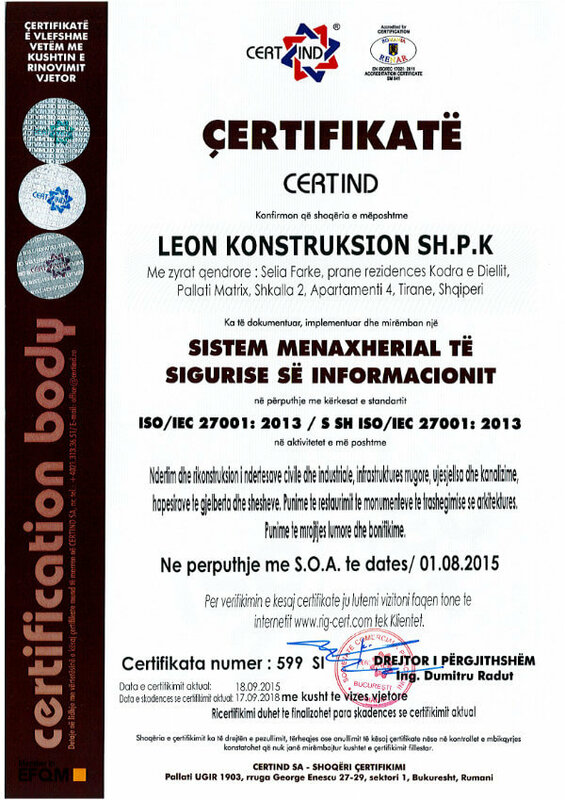 Located in Tirana and beyond with national reach, Leon Kontruksion is a construction company with a main objective: tradition, innovation, performance. From the concept of creation, trust your construction professionals! Licensed by the Ministry of Transport and Public Works as well as by the Ministry of Culture for the Restoration of Monuments of Culture. Quality is what we are following. The latest technology for a greener environment. To build with strong professionalism, to build confidence and confidence, to build tomorrow’s community, today. Commitment and seriousness have set us at the head of engineering services in Albania with projects sponsored by the Albanian Government but not only UNDP, Embassy American, Italian delegation of experts, Italian cooperation, Albanian development fund ect. Are you looking for a company where you want to invest your future? We are ready to offer you a very good solution. 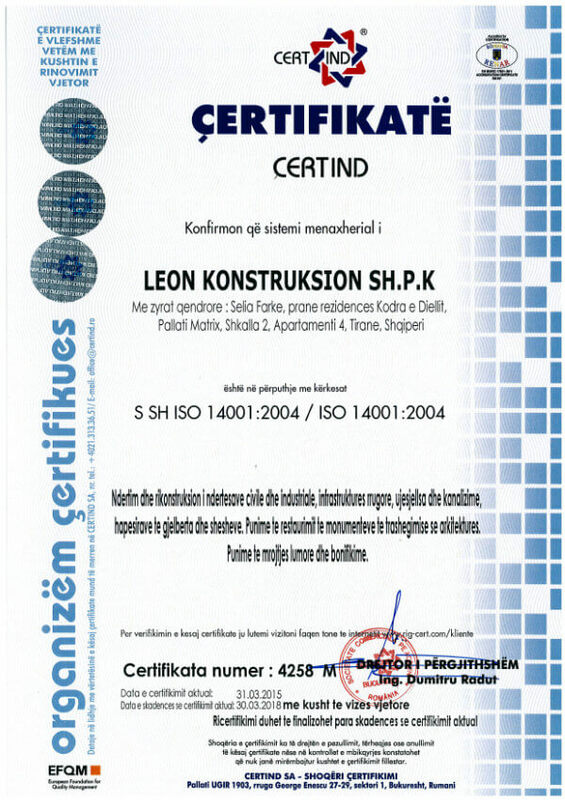 Constructions are the sector in which our company has several years of experience. Initially with reconstructions of buildings and then with civil and industrial buildings. The fact that we have been working in this field since the beginning of our company has made us develop professionally and achieve ever more enthusiasm after the completion of each project. The water supply and sewerage system is an important part of all the facilities we have reconstructed. Restoration of the Bazaar of Kruja, Bazaar of Korça, Bazaar of Gjirokastra keeps the name of our company.